When his team receives targeted warnings, Bliss will need to decide whether to drop the case or to pursue those responsible. Will Bliss walk away in order to keep his career intact or will he fight no matter what the cost? And is it possible the killer is much closer than they imagined? 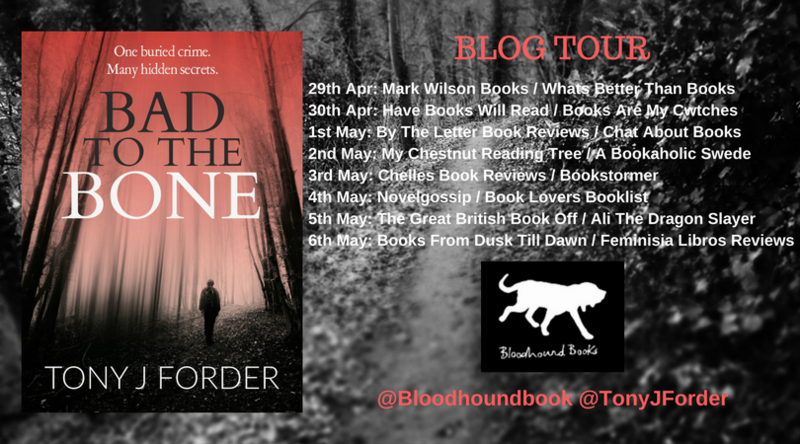 Welcome to my stop on the blog tour for Bad to the Bone. I love police procedurals but there are times when they can get a bit dry and humorless, leaving me wanting more. 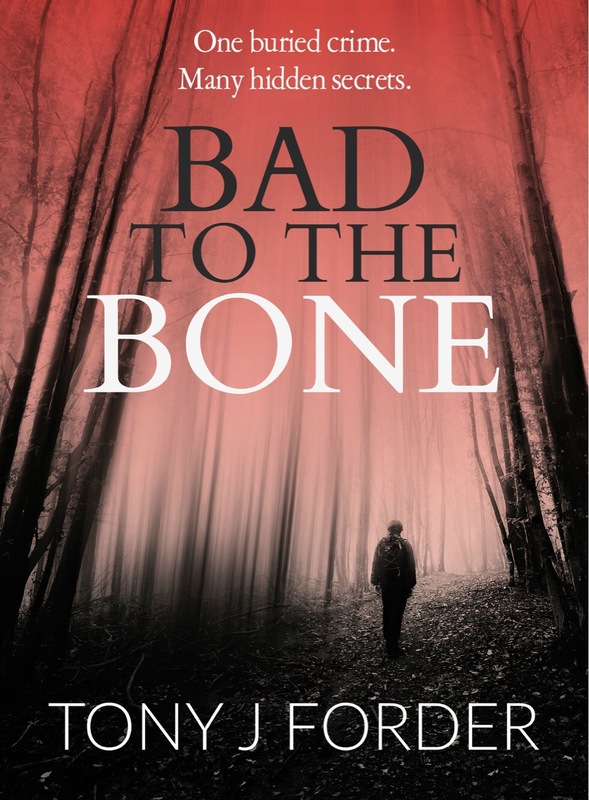 Books like Bad to the Bone breathe new life into a sometimes stale genre and remind me why I’m such a fan of these types of novels. It was full of dark humor, well drawn characters and plenty of surprises to knock me off balance. Bliss and Chandler are partners and they had such a warm, genuine relationship. Forder did an excellent job of developing their friendship and I liked that they had each other’s backs at any cost. Bliss’ backstory was especially well crafted and by the end I felt like I had a true sense of what type of person he is. The pacing was steady as they investigated a cold case after bones are found in a semi remote locale. 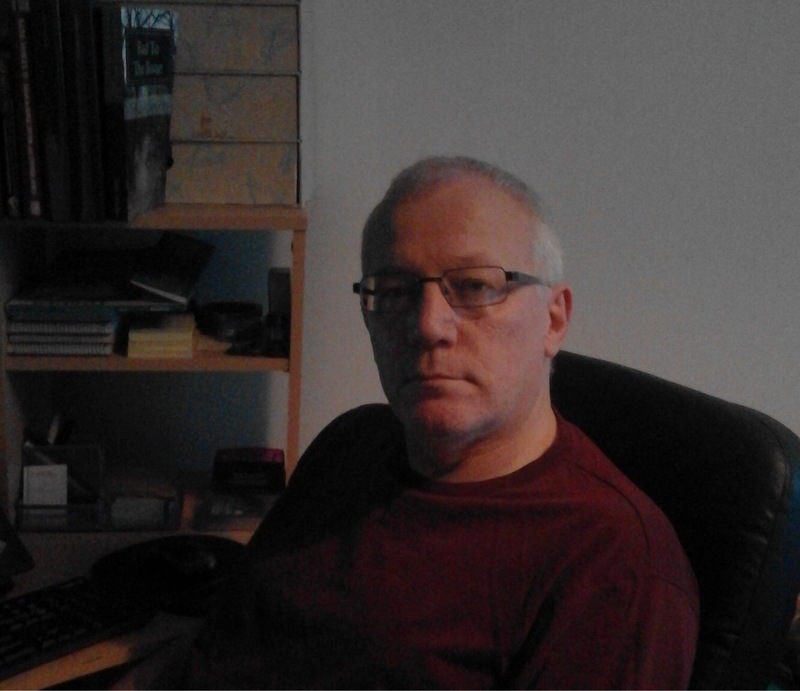 When this old case starts to show links with current happenings, things get really tense and complicated. This was a character driven book with a very strong lead and a writing style that kept true to police procedures while adding some much needed humor to break things up. It’s an excellent beginning to a new series, I could even see a prequel at some point as Bliss’ history was fascinating.